Showing results for tags 'mig-29'. Exhuasts coming soon. These were made by modifying and adapting the exhausts Alexander made for the MiG-29M/K kit (also used for the Zactomodels Revell correction set). They are now full depth. I'm working on instruction the sheet and production molds and expect to release them soon. New stuff from Zactomodels for the Trump MiG-29 kits! Exhausts for the A and UB Chaff flare dispensers for the MiG-29A New nosecone for the A Combo for MiG-29A available at 10% discount! You can choose between the mixed loadout shown, an Alamo/Archer loadout or Alamo/Aphid loadout. Check out my website http://www.zactomodels.com/ and/or visit the Zactomodels sub-forum for more details. Spanish resin manufacturer, Scratchaviation (aka Scratchaeronautics), will be releasing a resin 1/72 MiG-35 kit. Other than Deagostini's diecast 1/161 model, this will pretty much be the only MiG-35 kit so far. It's available for pre-order on their page for 40 euros, or about $45. http://scratchaviation.webs.com/apps/webstore/products/show/7388373 Their Facebook page shows off their other kits: https://www.facebook.com/Scratchaeronautics/ Anyways, I'm glad someone has stepped up to provide a kit that has been sorely lacking in the Soviet/Russian scale modeller's collection. http://www.janes.com/article/68801/ukraine-announces-plans-to-develop-new-fighter Due to its current no-so-great relationship with Russia, Ukraine is going to develop its own lightweight fighter jet. As the article says, it's going to be more or less a MiG-29 (MiG-29C I'm guessing) but with wholly Ukrainian engines and electronics. Between this, the MiG-35, and the proposed fifth-gen Fulcrum that Russia and the United Arab Emirates are going to be producing, it looks like the Fulcrum design is going to be around quite a bit longer than expected. Of course, I just want a model of all three. EDIT: http://bmpd.livejournal.com/2447644.html proposed concept art of the Russian/UAE Fulcrum. Like the love-child of the MiG 1.44 and MiG-29. 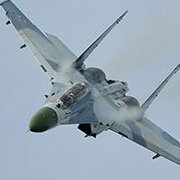 I've found nothing for the Ukrainian LBL, although this article (http://quwa.org/2017/03/20/ukraine-intends-develop-new-multi-role-fighter/) says that Ukraine has drawn up sketches of it. 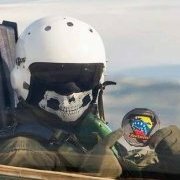 Type of bombs on this MiG-29A? Now available: 1/32 MiG-29A Correction Set for the Revell kit: Details at www.Zactomodels.com Update: The correction set now includes full length intakes: If you've already purchased the correction, the intakes are available separately. 1/32 MiG-29 exhausts for the Trumpeter kit: Details at www.Zactomodels.com ________________________________________________________________________________ _________________________________________ Alexander Rogal, "Eastern" here at ARC has been working on some spectacular tailcones to replace those included in the Trumpeter MiG-29K/M kit. He is providing me with the tooling to produce the parts in kit form! The tailcones will be a direct replacement for those provided in the Trumpeter kits and will include detailed resin parts with photo-etch flame holders. The parts are still in progress as is the rest of his MiG-29M. Check out his progress as well as his other models on his website: http://pilot64.gallery.ru/ Here are a few pics of his work so far... I can't wait to pour rubber on this stuff! MiG-29AS Fulcrum Slovak AF Digi-Camo!